A Kansas public high school outing to Washington, D.C., was converted into a religious undertaking by the teacher, the Freedom From Religion Foundation has learned to its dismay. 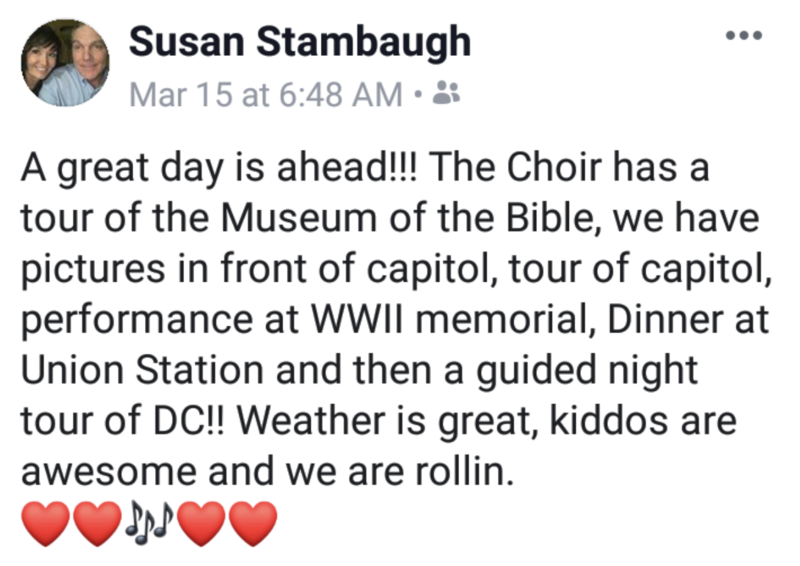 The vocal music director for Great Bend Senior High School arranged for students to sing at the New York Avenue Presbyterian Church in the nation’s capital during a church service on March 13. She also took students to the Museum of the Bible as part of the trip. In the past, she has reportedly prayed with students at school events. It is inappropriate and unconstitutional for public school staff to pray with students, take students to a Bible museum, and to organize student visits to a church, especially for worship services, FFRF reminds the school district. Non-Christian and non-religious students are excluded when a public school schedules a trip to these types of sectarian establishments. It makes no difference whether participation or attendance on these field trips is voluntary. Courts have summarily rejected arguments that voluntariness excuses a constitutional violation. The school district should make certain that none of its employees is unlawfully and inappropriately indoctrinating students in religious matters, FFRF asserts. The Freedom From Religion Foundation is a national nonprofit organization with more than 31,000 members across the country, including in Kansas. Its purposes are to protect the constitutional separation of state and church, and to educate the public on matters relating to nontheism.